Winner of several awards, the S6 is perhaps the instrument that best represents the Seagull philosophy. 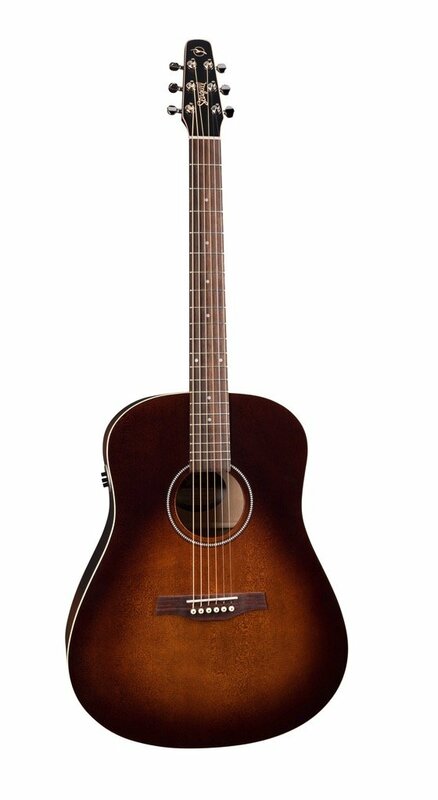 This model features the stunning, rich & vintage look of its Burnt Umber semi-gloss finish.The S6 offers entry level players the opportunity to experience the great feel and superb sound provided by a hand finished neck, select solid Spruce top and a Custom Polished Finish. This model includes Godin Quantum IT electronics with built-in tuner.